HAVE™ is an acronym for the four key components that help you build prospect trust during the sales process. It is the small actions, called trust elements, that you choose to take or not take during the sales process that impact the four key components and either build or diminish prospect trust. You’ll never hear from a prospect that you lost the business because they didn’t trust you as much as the winning competitor. Prospects make purchase decisions based on unconscious, emotional influences and then use logical reasons for justifying the emotional decision. Most companies and individuals feel they’ve already earned a significant level of trust with potential buyers. Why focus on earning something you believe you’ve already earned? Companies and individuals don’t know the specific actions or steps that build trust and just as importantly, they don’t have an accurate understanding of the actions and behaviors that diminish trust. Unfortunately, companies and sales professionals who assume they’ve earned significant levels of prospect trust are wrong. Studies and surveys show that trust levels are significantly lower for companies and professionals than they think. This lack of prospect trust creates a critical differentiation opportunity for companies and professionals who accept that trust is a significant issue. In today’s competitive and cynical environment, it has become extremely difficult for companies and professionals to create clear separation points for their company, product or service brands. It takes a lot of marketing effort to build a brand that is perceived as different enough to make it on the prospect’s short list of potential providers. Once your product or service is on the prospect’s short list, though, the brand that has the greatest impact in differentiating your solution is often not the brand of your company, product or service. Instead, it is the personal brand of the individual selling your product or service that will significantly impact, if not replace, any previous brand impression the prospect may have established with your company. In other words, any perceived differentiation created by the brand of your product, service or company is only significant while the prospect is selecting options. Once an opportunity reaches the selection phase, it is the personal selling brand of the selling professional(s) that most often determines who wins. And the winning seller has a very specific type of selling brand – the most trusted. To win more customers, sales representatives and professionals must build the most trusted personal selling brand with prospects to create a key differentiation point from the competition. Companies that rely solely on their product, service or company brand to create the separation point will usually lose the business to competitors that have selling professionals who understand how to create the most trusted selling brand. How Can You Win More Sales? 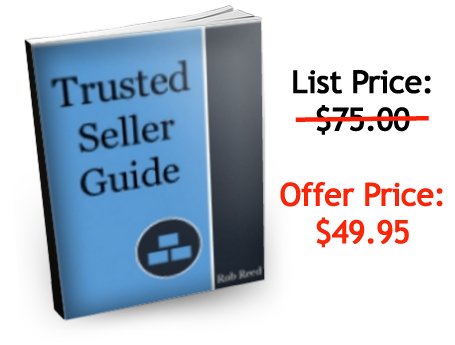 The Trusted Seller Guide Shows How to Use Behaviors, You Already Possess, to Build Greater Prospect Trust Levels and Win More Sales. Did you know studies show we retain more information from reading book summaries than the books themselves? 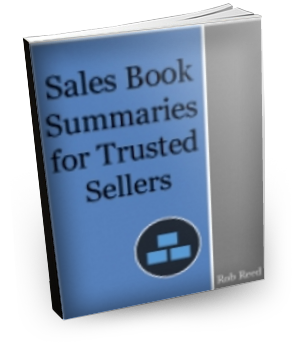 Whether you’re a seasoned sales professional, relatively new to the selling profession or simply a professional or business owner who sells on occasion, the Sales Book Summaries for Trusted Sellers is a valuable tool. Influence, The Psychology of Persuasion, by Robert Cialdini, Ph.D. Discover the “main takeaways” gleaned from best-selling sales books that you can quickly implement into your current selling process. Identify those sales books that would be worth your limited time to read in full and which books would not. Better understand how different sales methods impact your ability to build trust with prospects. Quickly increase and expand your knowledge of just a few of the sales methods offered in today’s competitive environment. 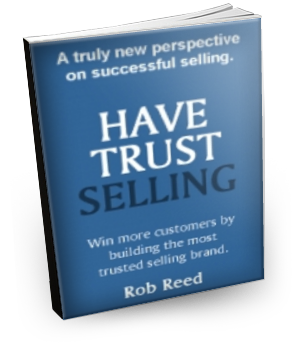 Sales Questions for Trusted Sellers Handbook Cover The Sales Questions for Trusted Sellers handbook includes 110 sales questions that will help you or your sales team build greater levels of trust with prospects. Just as importantly, the handbook includes a list of 25 sales questions you should not ask prospects to avoid being perceived by your prospects as manipulative which diminishes trust. 110 consultative sales questions to help you build greater levels of trust with prospects. 25 sales questions you should not ask prospects which gives you a good idea of the types of questions prospects perceive as manipulative. A bonus section which includes a sales call planning worksheet you should use before every sales call with prospects. The worksheet identifies the information you must gather before your sales call to build trust. Each section includes a description of the information required to complete the worksheet. I used a similar sales call planning worksheet to become a #1 seller for a top-rated healthcare sales force. Easy-to-Use Sales Elements to Build Prospect Trust. Building Trust Sales Tips Cover Over 25 sales articles and selling “quick tips” focused on building more trust with prospects during the sales process. This 40-page collection of sales articles and tips has been published on various websites and blogs over the past few years and served as the foundation for my interview with Jeffrey Gitomer for Selling Power Live. I’ve combined these selling tips and sales articles in one convenient e-book for you to quickly read and gain a much better understanding of how to build more trust with more prospects. The issue of trust in today’s business environment. How you can leverage trust as a competitive differentiator. The key trust components that determine your level of trust development with prospects. Is sales training worth your investment? What is the number one buyer decision factor? What are the four key components you must focus on with prospects to convert them to customers? What is one thing you should not do with prospects (That most sales experts still suggest you should)? What is one thing you must always do with prospects, but most sellers fall woefully short in doing? What is your STF and why is it critical for you to win more sales? 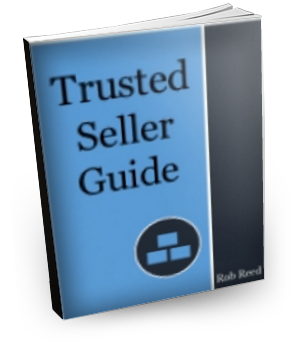 The Trusted Seller Guide is an E-book in the form of a pdf document. Once your payment is processed, you will be provided a link to download the Guide immediately. You can use Amazon Payments, PayPal or a credit card for payment. Further details may be found below. Absolu tely. I don’t buy anything on the Internet unless there’s a money-back guarantee and neither should you. If you don’t feel the Trusted Seller Guide has met your expectations, simply send me your request for a full refund – no questions asked. Here’s the “official” guarantee: 45-Day Money Back, Risk-Free Guarantee You will receive a full refund of your purchase price if you decide, within 45 days of your purchase, that the Trusted Seller Guide does not meet your needs. It’s that simple. How much does the Trusted Seller Guide cost? How will I download my Trusted Seller Guide E-book? Once you click the “Add to Cart” button, you will be taken to the checkout page where you can select to pay using your Amazon account or PayPal/credit card. Once you complete the purchase, you will receive an email with a special link where you can immediately download your electronic Trusted Seller Guide.